Professional Background: President/CEO of Wesley House Community Services and President of Phoenix Global Humanitarian Foundation. She is committed to eradicating by promoting national and international services that influence the development of healthy families, education and issues of justice and fairness. She is also a founding mother of the Louisville Clothesline Project, and she founded the Hope Clothesline Project and Tolon Clothesline Project--both located in Ghana, West Africa. She serves as a Board member for the Metropolitan Housing Coalition and the Mary Byron Project. Professional Experience: 10 years in the human resource field, most recently holding the position of Senior Human Resource Business Partner at Amazon. She held previous HR-related roles with companies such as Chegg, Baptist East Hospital, and Linen N Things. Professional Background: Served in leadership roles in private and public sectors, including a billion-dollar multinational organization with oversight for strategic planning, change management, risk management, compensation, employee communications, governmental affairs, and human resource development. Dana serves on the Board of Directors for the Southern Kentucky Society for Human Resource Management. She earned a doctoral degree in educational leadership and organizational development from the CEHD, and completed her master's degree in organizational communication at Western Kentucky University. Professional Background: 12 years of experience in information technology and another sixteen years in higher education and professional development training. Currently serves as Assistant Director of the University of Louisville's Delphi Center for Teaching and Learning. He has been teaching in the classroom and online since 1999. Professional Background: Over 30 years of experience in business management and human resource development, including senior roles at Eastman Kodak. Currently serving as Adjunct Professor at Bellarmine University, University of Louisville, and as Vice President of Consulting Services for Zenith Performance Group. His clients have included Fortune 500 companies. Professional Background: With nearly 10 years in the human resources management field, her experiences include employee relations, training and development, and a concentration in recruitment. She has primarily worked at corporate health care organizations, and she currently holds a position in Talent Acquisition at Humana. Meredith earned her master's degree in Human Resource from UofL. Professional Background: More than 10 years experience in instructional design, computer-aided instruction, needs analysis, project management, training delivery, and technical writing and editing. Jennifer earned a Ph.D. in Human Resource Education from the University of Illinois at Urbana-Champaign, and a master's degree in Human Resource Education from the University of Illinois. Professional Background: 30 years of experience in operations performance evaluation and improvement leader at KFC Corporation (!YUM Brands). Currently Dean of KFC Breakthrough University, Dr. Gosser is focused on leadership development of restaurant managers and above restaurant leaders. She earned her MBA and Ph.D. in Educational Leadership and Organizational Development from UofL. Professional Background: Instructional Designer with over 30 years’ experience in business including: a Financial Services Company, a non-profit Family Literacy organization, and consultant with a national Health Care organization. Deb has 15 years’ experience in online instruction/learning, and is currently an Instructional Designer at the Delphi Center for Teaching and Learning where she collaborates with subject matter experts to define content and develop online courses and training for UofL Faculty. Professional Background: 15 years of experience in nonprofit management and higher education leadership. He currently serves as Director of Education at the National Endowment for Financial Education in Denver, CO, where he oversees the Foundation's national research and philanthropic endeavors. He has worked in various leadership roles at the University of Cincinnati, Knowledgeworks Foundation, Ohio College Access Network, and Union College. He earned his Ph.D. from the University of Cincinnati. His current research focus is on human development and adult learning. Professional Background: Over 20 years experience with UPS in human resource-related roles including, internal consulting, airline, and currently holds the position of performance manager. 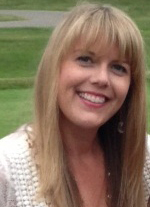 Angie earned a master's degree in Adult Education, and a bachelor's degree in Middle School Education from UofL. She serves as Director of Professional Development for the Louisville Chapter of Institute Supply Management Board, and is Chair of the Women's Leadership Steering Committee with Metro United Way. Professional Background: over 20 years experience in teaching, training, program development and evaluation in the US, Europe and Africa. Ten years of hands-on experience in managing international development projects (through USAID, World Bank and international NGOs); also trainer and manager for small business and entrepreneur development programs. Gary is a graduate of UofL (MA in French and ESL), and earned his PhD from Florida State’s program in Adult Education & Human Resource Development. A member of the Schnitzelburg neighborhood organization, Gary also is volunteer manager of the Emerson Community Garden. Professional Background: Over 15 years of experience in learning, development, instructional design, and evaluation in public, non-profit, and corporate organizations. Currently is Operations Manager with Cigna - HealthSpring and is facilitating training and operations in several out-patient physician offices, as well as other strategic initiatives designed to improve the health care of patients and overall organizational effectiveness. He received a Ph.D. in Human Resource Development from the University of Illinois at Urbana-Champaign. Professional Background: Over 25 years as a training and OD consultant and manager. Dr. Miller specializes in leadership building, organizational change, and strategic planning. She has worked in a wide variety of industries including manufacturing, utility, health care, government, and education. Dr. Miller earned her Ph.D. in Industrial/Organizational Psychology at the University of Tennessee. Professional Background: Fourteen years of experience in the training and development field as a training facilitator, instructional designer, and training manager. Currently leading training design and learning technology for KFC, Dr. Platt has worked previously in a variety of training development roles at Yum! Brands, Papa John’s, and UPS. She earned her Ph.D. in Educational Leadership and Organizational Development from the University of Louisville. Professional Background: Nearly 25 years of experience with UPS in a variety of roles including, workforce planning, employee relations, and learning and development. Her current position is Internal Talent and Performance Support Manager in the Corporate HR Leadership and Talent Development function. She received her master's degrees at UofL in English and Human Resource Education. Donna is an alumnae of the Leadership Louisville Ignite Program, and is a volunteer at the JB Speed Art Museum.